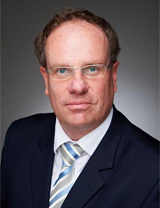 Achim Schefczik is a healthcare and industrial expert with over 20 years of business development experience in capital medical equipment for Europe, Middle East, Asia and the USA. After graduating in medical engineering in Germany, he began his career as a product support engineer for Varian in 2000. He further developed his product marketing knowledge at ELEKTA in 2003. In 2007 he was responsible for strategic and marketing intelligence for Siemens Oncology Systems. In his final corporate role with Accuray, he created and established markets for CyberKnife, the robotic radiosurgery system. He grew sales from 4M$/year to 30M$/year in Eastern Europe, Russia and Central Asia. As an emerging markets and industrial expert in radiation therapy, he founded MED-SPECTRUM in 2014 and rebranded the company to OncoMed-Solutions. 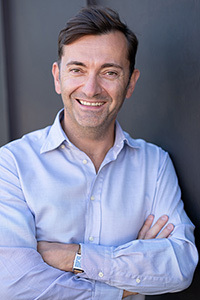 Stefan brings into 30 years of experience in international banking, venture capital, private equity, M&A, financing, business development and project management. He has been nine years with Commerzbank and was the co-founder of Venture Select GmbH, a private venture capital company, based in Munich, Germany. Investments were made in internet, wireless network, telematics and medical device enterprises in Europe and the U.S.
One of the portfolio companies, Accuray Inc. (CyberKnife robotic radiosurgery) has made a successful IPO at NASDAQ and Endoxon, Switzerland (Geo-Intermediate layers) was acquired by Google. Stefan will be responsible for fundraising activities and the financial structure of OncoMed-Solutions projects in our target markets and to develop business models for strategic investors based on our experience in innovation in oncology.